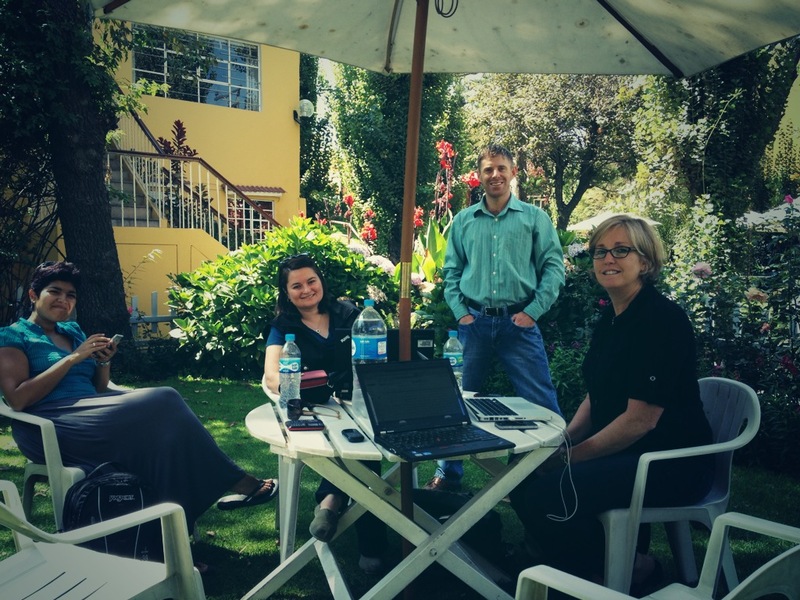 Building Strong Teams – Arequipa Style! This weekend I climbed a Volcano near to Arequipa called Chachani. In total the climb plus descent took about ten hours, of which probably 90% of the time was spent in silence – more on the details of the climb later, however what this ‘thinking time’ did allow me to do was reflect on my personal objectives from the Service Corps project and how things were developing so far. Developing my skills and approach to working in a cross functional team without necessarily having a clear leadership hierarchy – very relevant for my role at Symantec. Building a stronger network of contacts across Symantec globally – important as I am fairly new to the company. Appreciate the skills, experience and opinions of your colleagues – We’re very lucky on the Paz Peru project that the team has formed quickly and smoothly. Partly this is down to each of us having a relaxed and flexible approach – for example we don’t get frustrated by ‘Peru time’! However a large part is down to each of us quickly recognising and appreciating the skills and experience that sit in the team – everyone’s opinion counts! Play Table Tennis – Learning about your colleagues as a person helps build the relationship. 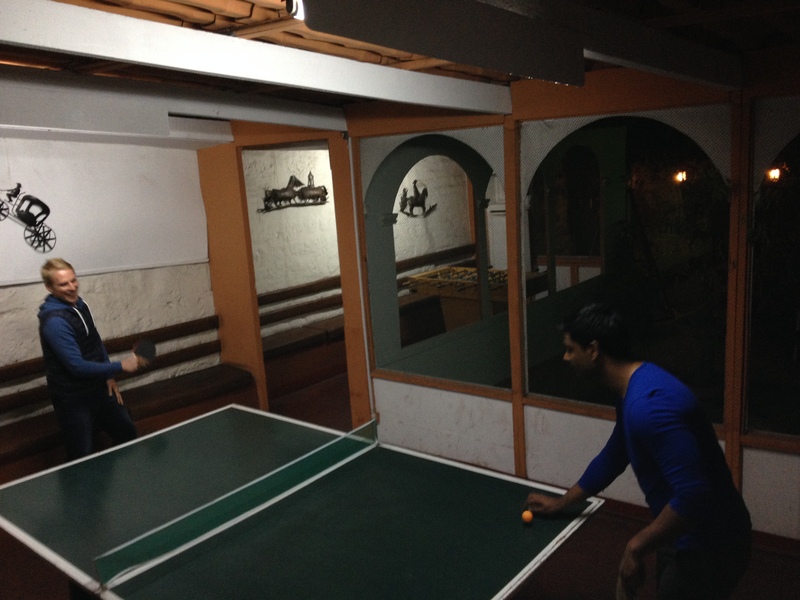 Most nights I play a fairly competitive round robin of Table Tennis with Prakash and Chris. I’ve learnt that Prakash has no backhand and that Chris is unbeatable! Without realising it, this is forming a strong bond between the three of us. Do you prefer a sandwich? – On the opening day when we kicked off the project, Allyson gave a great presentation to the team on how to build a strong team. One exercise included understanding how each person on the project preferred to receive feedback – from the ‘sandwich’ method to the ‘be as blunt as you can’ method. With the short amount of time that we have for this project, it’s vial that we can give feedback without breaking the team! Show a genuine interest – On Friday last week at 5pm, team Paz Peru were hard at work trying to complete the outline of the Marketing plan that we will deliver at the end of the project. Chris (working on a separate project) popped his head in the team room to say hello and to see how we were doing. An hour later Chris was still sat with us and was actively contributing to the exercise, proposing new ideas that we had not considered. Much appreciated by team Paz Peru! Ask for help and look wider than just your own team – It can be very flattering when someone recognises you as an expert in your field and asks for advice and help. Similar to the example above, Kamal (again, working on a separate project) was willing to sit with me one evening to review and develop a Sales Pitch. He definitely had better things to do with his time! However that 45 minutes from Kamal will make a big difference to the Paz Peru team. The little things make a difference – Whilst Marq and I haven’t worked directly together, Marq is often helping to build a good team dynamic between us through regularly asking how things are going and offering pieces of insight and advice. A great example here is when I was talking to Marq about the organic farm at Paz Peru which needs some support to boost its output. The next morning I had an email from Marq with details of farming techniques that Paz Peru could consider – for example ‘Waffle Gardening’! 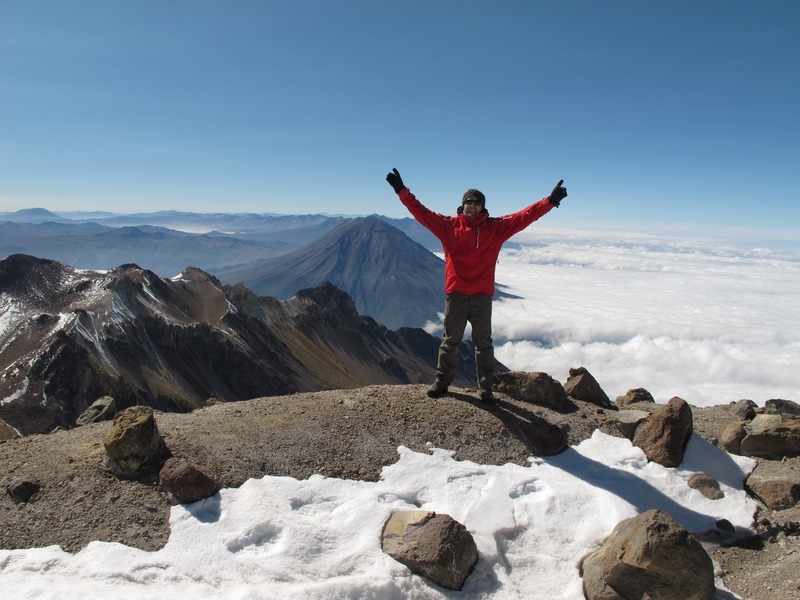 Share a Tent – Whilst preparing for the Peru trip, Craig and I exchanged some emails over our desire to climb one of the volcanoes near Arequipa. This culminated in us sharing a tent at 4,800m on Saturday night, struggling to sleep due to headaches and nausea from the altitude. Ahead of us was a gruelling ten hour hike starting at 2am, that we both had a good chance of not successfully completing! You get to know someone much quicker when you share an experience like that! This blog ends with a story of personal success. In the end I did manage to reach the summit of Chachani at 6,090m. It was a real challenge and the reason why 90% of the climb was spent in silence is because I hardly had any breath left to walk, let alone talk! 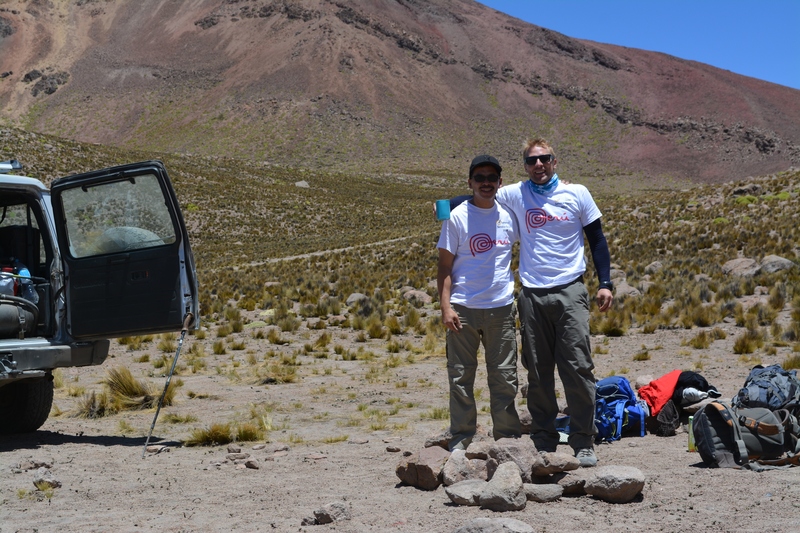 Below the photo of me at the summit, and Craig and I celebrating in our Service Corps T-shirts back at base camp! Craig & Joe celebrate a long day back at base camp! 2 Responses to Building Strong Teams – Arequipa Style! Great insights and sharing, Joe!